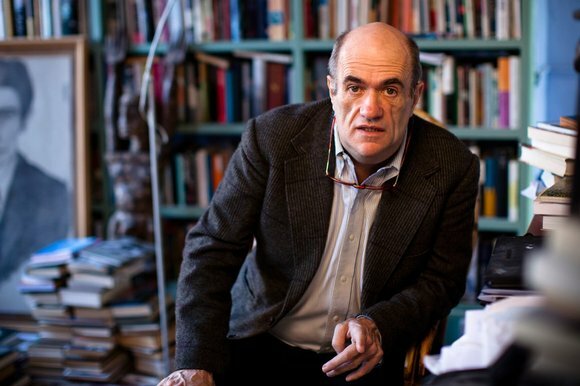 Colm Toibin’s “The Testament of Mary” has made history this year, becoming the shortest novel nominated for the Man-Booker prize. Many will either be drawn to, or repelled by this book for all the wrong reasons. The subject matter is certainly of a sensitive nature. Written from the perspective of the Virgin Mary in the later years of her life, Toibin does not seek to unmask Jesus, so much as to write Mary as a real person. The novel is an account of events described in the New Testament but written in a human, and relatable way. Toibin’s style of writing perfectly suits this sad account, which is almost a confessional piece. Moreover, reflecting the nature of Mary’s story, when writing Toibin forces himself to sit in an uncomfortable and painful chair and always writes by hand, rather than word processing. A sort of method acting for writers. Where the novel arguably falls down is in the occasionally needless variations from the accounts of events given in the Bible. In Toibin’s version of events Mary, rather than holding her dead son in her arms as he is taken down from the cross, flees the scene. Ultimately at these points in the book we cannot help but focus on the radical changes to the story, rather than the subtleties of the writing or Mary’s emotions. Additions like this seem to serve only to frustrate and anger Christians, rather than to add to the suffering of Mary and thus our understanding of her. Despite this Toibin did not create this short book to poke and prod the religious members of our society. The Jesus of his imagining is not an imposter. He even performs miracles. He is, if not the Son of God, no ordinary man. The most prolonged and revisited episode of the book is the resurrection of Lazarus: in this retelling, a horrific event. The man returns a shadow of what he was – barely able to walk, and in a permanent state of silence and pain, so disturbed by what he has seen, or felt, or understood. Look past the gimmick and the controversy however, and you will find a beautifully written account of the sorrow of a mother, and a wife who has lost. And this is what makes the book an exceptional one. In Toibin’s retelling, Mary is paid scant attention by her son and his followers. At the wedding at Cana, Jesus asks her, “Woman, what hath I to do with thee? Mine hour is not yet come.” She tries to protect her son but he ignores her. Following Jesus’ crucifixion the visits of her son’s disciples adopt a menacing tone. They are uninterested by what she has to say. They merely seek confirmation of what is already firmly planted in their minds. They come to her like members of some secret police, taking her testament for the sake of form, but ultimately ignoring it. They tell Mary that she stayed with her son after his death, and they tell her she was chosen by God to carry his child. By this stage, Mary has lost the will to argue. She waits for death. In addition to the agonisingly beautiful glimpse into Mary’s mind, we are given a sense of the fear and the madness of life in this time and place in history. There is confusion, and there is panic. The biblical characters are humanised in a way that is both touching and fascinating. Toibin’s choices of what to do with each character should not be criticised. Creating an honest and believable account of the events would necessarily mean straying from the prescribed and impersonal accounts of the Gospels. Mary says of the Disciples: “They have no interest in my fear and the fear all those around me felt, the sense that there were men waiting who had been told to round us up”. But Toibin tells it like it is. Toibin has created a deeply affecting, and at times beautiful piece of fiction. The book may well fall into a torrent of controversy and debate over the setting, which would be a shame. When reading the words of this damaged and lonely woman I wasn’t being sold some anti-Christian propaganda about the birth of the religion, I was absorbed and moved by the love of a mother for her son, and for her husband. And by her fear in a chaotic time. Laurence Durkin is a student at Edinburgh University. He studies French and History. His name is Laurence but his friends call him Larry. If you’re not his friend – don’t call him Larry. Laurence would count Mad Men as his favourite tv show and is sometimes mistaken for Harry Potter. This has lead to the nickname Larry Potter. Avoid that one too. I read this article and found it very interesting, thought it might be something for you. The article is called The Testament of Mary – Colm Tóibín and is located at http://prancingthroughlife.com/2013/10/23/the-testament-of-mary/.